Home / asus / facebook live / smartphone / vlog / zenfone / Asus ZenFone Live L1 now available in the PH. | Price, Specs and Availability. 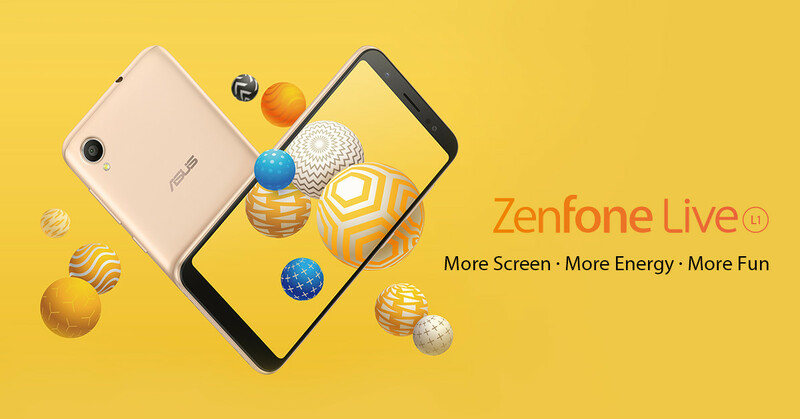 Asus ZenFone Live L1 now available in the PH. | Price, Specs and Availability. ASUS reintroducing yet another contender in the Philippines, The ZenFone Live L1. In 2017, the first Zenfone Live was released in the country. A perfect timing to give what ZenFans and other consumers needs to have a affordable device they can use to go Livestream on social media, to do video blogs/vlogs. The new ZenFone Live L1 now comes with upgraded features, it now comes with 5.5-inch 18:9 HD+ fullscreen display that guarantees immersive entertainment, it also has face unlock technology for an added security features and a triple-slot tray that supports two nano-cards plus a dedicated Micro-SD to expand the storage. The all-new ZenFone Live L1 gives users more of everything they love, in an amazingly compact and easy-to-use phone that's designed with consumers in mind. Inside is a 3,000 mAh high capacity battery that lets users binge watch all of their favorite films and TV shows as well as listen to their playlists for hours. To top it off, the ZenFone Live L1 can last for 28 days on standby! The Asus ZenFone Live L1 will be available starting July 21 at SRP of P5,995.